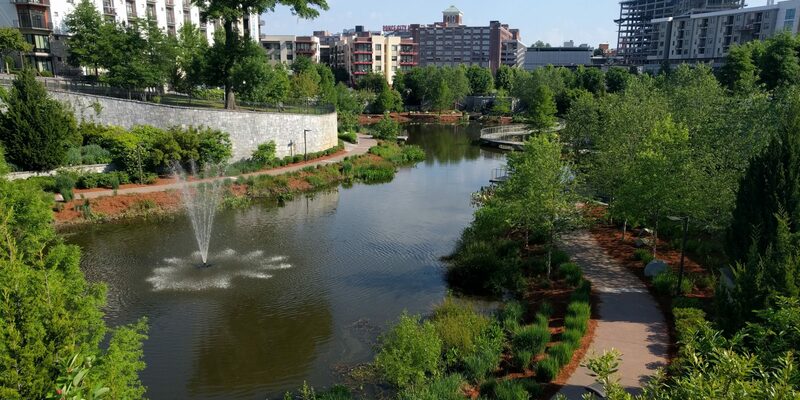 The Historic Fourth Ward Park Conservancy is a group of volunteers…and we can always use more! 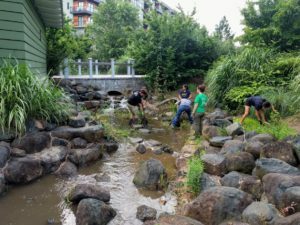 We will work together to spruce up the streambanks along the stream that channels water to the Clear Creek Basin. We will be trimming trees and shrubs, removing weeds and other invasive species, and removing trash. Gloves and tools will be provided. Meet at 2:00 PM near the playground at the corner of Rankin Street and Garden Park Drive. Please wear close toed shoes and long sleeves, and bring a reusable water bottle. Please register using the form below so we can plan for the right amount of tools and supplies. We look forward to seeing you there! I am at least 18 years old. Children are welcome if accompanied by a parent or guardian. Join us during our community workdays for a variety of projects such as picking up trash or spreading pine straw in the landscape beds. Help raise awareness of the Conservancy by distributing information at park events. Volunteer at a Conservancy event (e.g., festival food tent, information table). Email info@h4wpc.org for more information!